There have been documented cases of muskies taking small swimming dogs and even attacking humans splashing around in the shallows! Death, Taxes, and Leaky Waders collects forty of John Gierach’s finest essays on fishing from six of his books. Like all his writing, these essays are seasoned by a keen sense of observation and a deep knowledge and love of fishing lore, leavened by a wonderfully wry sense of humor. Gierach often begins with an observation that soon leads to something below the surface, which he finds and successfully lands. As Gierach says, writing is a lot like fishing. This is the first anthology of John Gierach’s work, a collection that is sure to delight both die-hard fans and new readers alike. 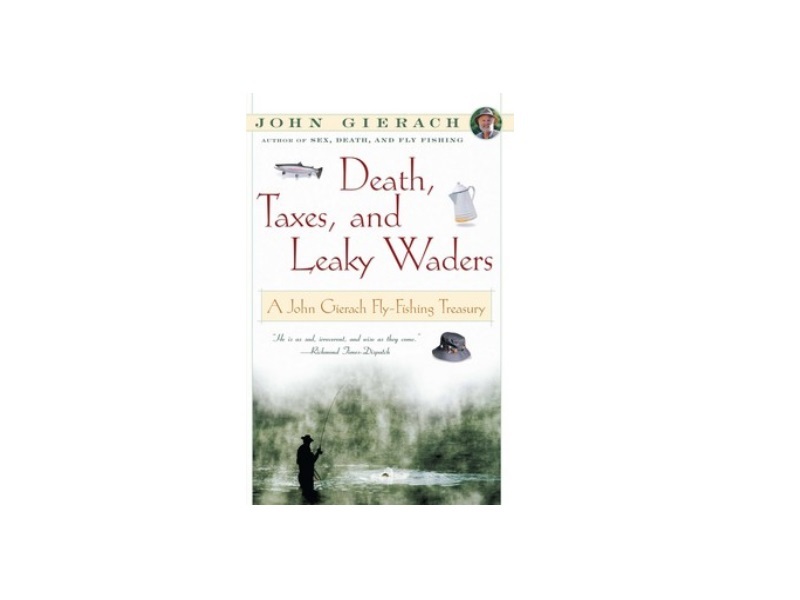 To enter Gierach’s world is to experience the daily wonder, challenge, and occasional absurdity of the fishing life—from such rituals as the preparation of camp coffee (for best results, serve in a tin cup) to the random, revelatory surprises, such as the flashing beauty of a grayling leaping out of the water. Whether he’s catching fish or musing on the ones that got away, Gierach is always entertaining and enlightening, writing with his own inimitable blend of grace and style, passion and wit.